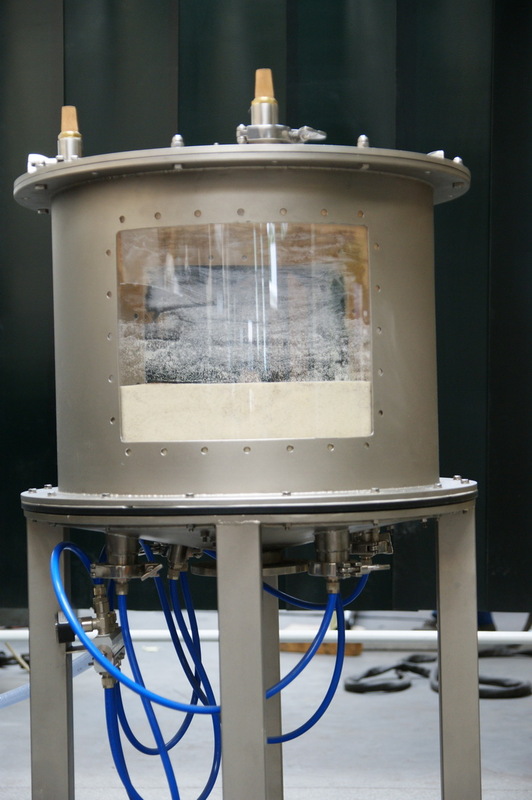 The innovative project of the technology of mixing loose materials in mixing units with the use of the fluidization process using the permeable material in the form of porous sinters of anti-static PE. Na podstawie przepisów ustawy z dnia 30 czerwca 2000r. Prawo własności przemysłowej (Dz.U. z 2013r. poz. 1410) firma Metal Process Sp. z o.o. uzyskała patent nr 220394 na wynalazek pt. Mieszalnik materiałów sypkich. Simple structure, and thanks to that increased reliability and easy verification of possible damage. No moving mechanical parts (no stirrers) which may contaminate the medium. Complete elimination of wall dead zones thanks to the use of full aerating bottom. Quick and efficient tank cleaning after mixing the ingredients by opening the air pad between the tank end and the medium. Easier cleaning thanks to the possibility of reverse air rinsing. 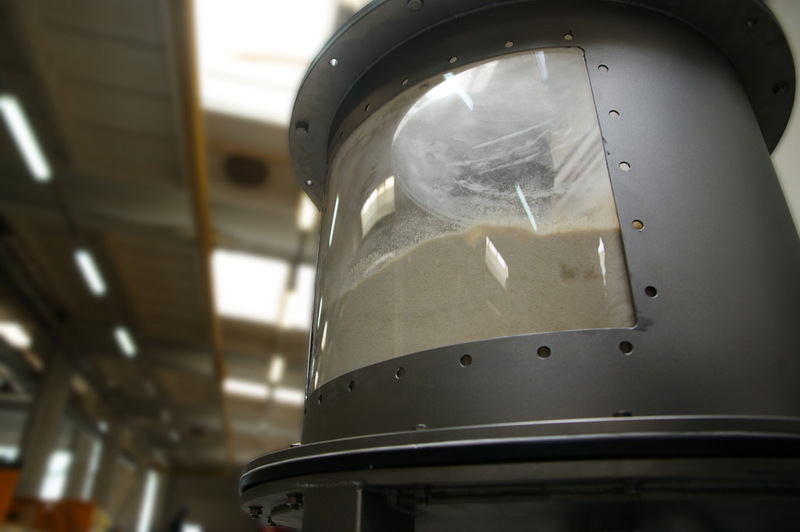 Decreasing the costs and labour intensity of the process thanks to the quick and efficient mixing. Saving energy thanks to the operation of the suitably separated tank end sections. 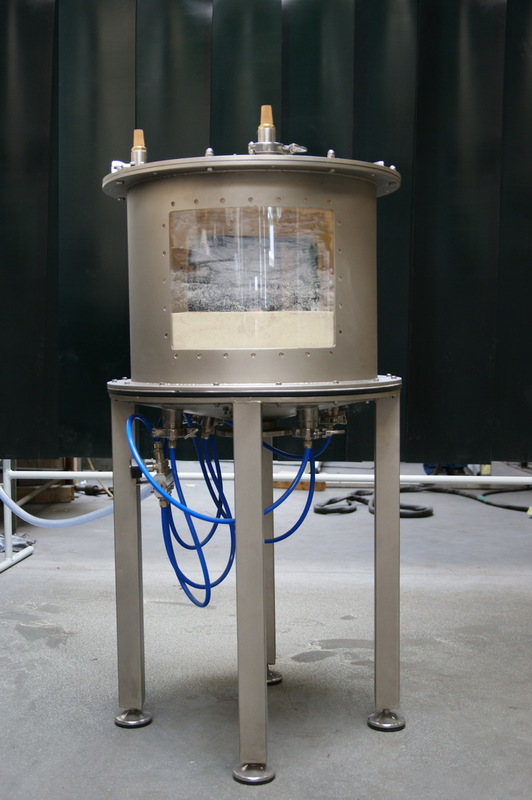 The pneumatic mixing unit of loose materials is made in a conventional was with the use of technologies that are unconventional on the Polish market. The shape or the external appearance itself does not reveal the innovative character with which we approached the assigned task, however it is not the shape that is important, but the technical idea that we had during the tests and the design process. 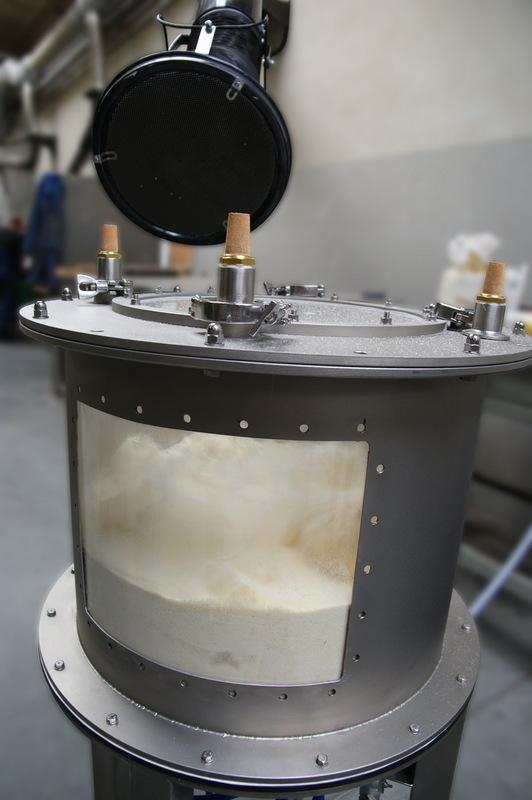 Our goal is to construct, test and implement for serial production a mixing unit in which any defects and imperfections resulting from the principle of operation or the structure of traditional mixing units of loose mediums offered on the Polish market will be eliminated. Thanks to the use of novel plastics and acid resistant steel in the form of porous sheets which let in the air, we prepared a conceptual design of a mixing unit of loose materials which will not only in a very short time mix perfectly the supplied materials, but will significantly improve the parameters of the process of emptying the mixing unit itself and will ensure its cleaning and keeping it ready for mixing consecutive batches of other composition without the fear that the medium will be contaminated with the remains from previous mixings. The process of mixing takes place with the use of the fluidization phenomenon (giving the properties of fluids to loose mediums). This phenomenon is created in mixing units by channelling and blowing the air inside them. 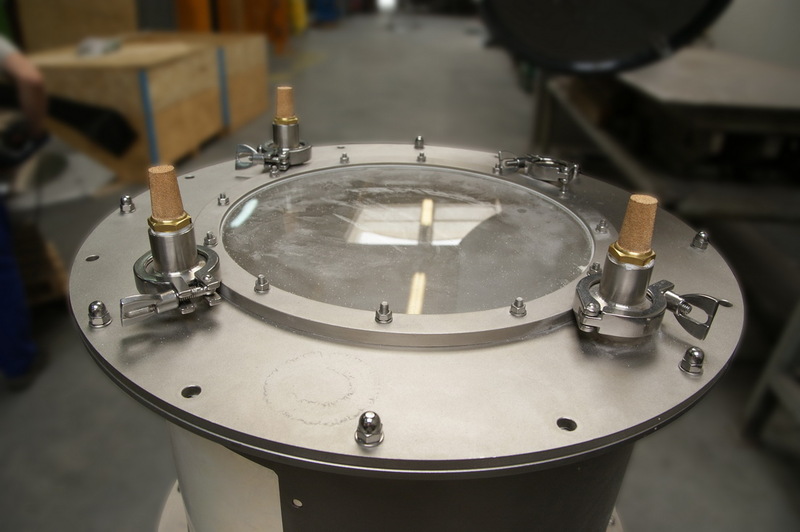 The air passes through the whole surface of the tank end of the tank in which the loose medium is kept. The tank end lets in the air as it is made of sinters (small gains bonded together). Pores are created in between sinters which let in the air. Elements responsible for the aeration, fluidization, filtration of the medium. Black polythene (up till now not used in Poland) – the material is available in the form of a porous sinter of different pore size through which the air flows. Thanks to the additive of soot, the material has anti-static properties and thanks to its black surface, it can be stated explicitly that the process of emptying is completed successfully. Moreover, the colour black of the internal tank ends shows that there are no remains of the mixed medium left in the tank what is significant when filling the mixing unit again with a medium of different composition. ANSI 316L steel is available in the form of a porous sinter of different pore size through which the air flows ensuring durability of the tank ends made of it.